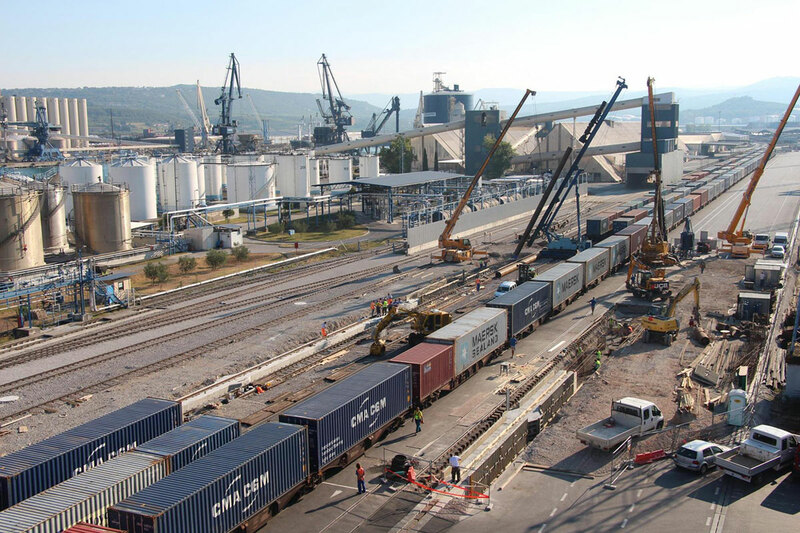 The Port of Koper terminated construction of a new crane rail for RMG gantry cranes that will allow an increase in productivity at the container terminal. 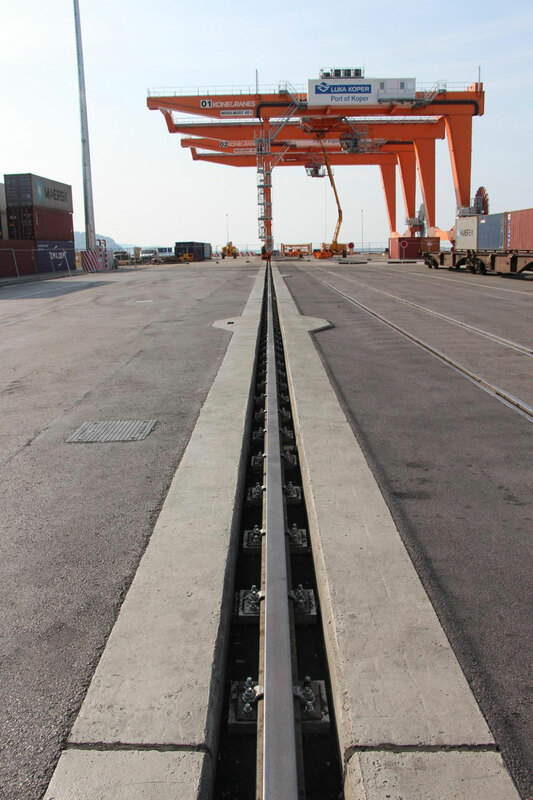 The rails are 750 m in length and founded on driven steel piles with a length extending from 42 to 60 m. The geological composition predominantly consists of high-plasticity clay and silty clay which reaches 28 to 30 m under the ground. The flysch base is present at a depth of 46 to 60 m under the ground. Between the clay layer and the flysch base there is a 15 to 20 m thick gravel layer with lenses of clay and silt. 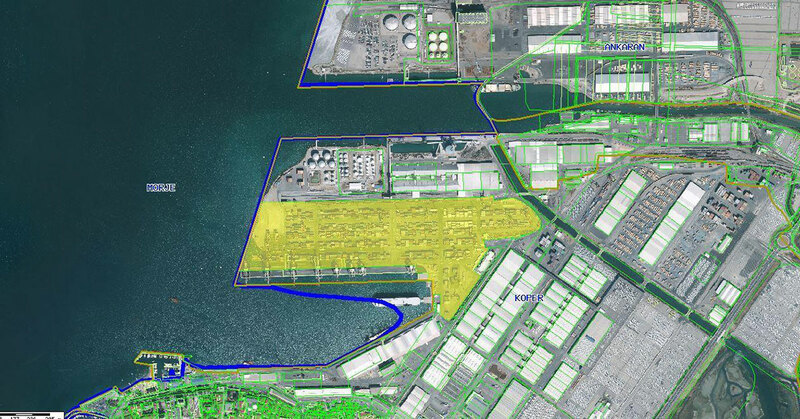 Deformation requirements for the operation of the crane rail are merely millimetres, it was therefore very demanding to make calculations for adequate foundation in the soil that soft as in the Port of Koper. For the client, we managed the project, prepared the preliminary design, the building permit design, the test field, we carried out project supervision during the construction and prepared the documentation for both the as-built design and the project for exploitation and maintenance. Once the facility was successfully put into operation, we participate in regular monitoring of the facility during operation. 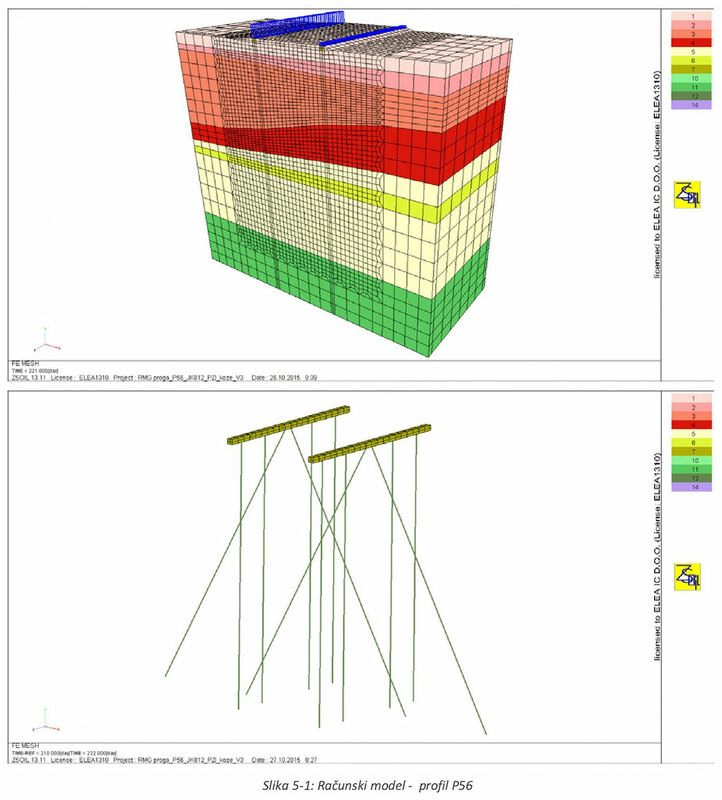 Project typeNew construction, engineering structure: deep foundationLocationKoper, SloveniaInv. 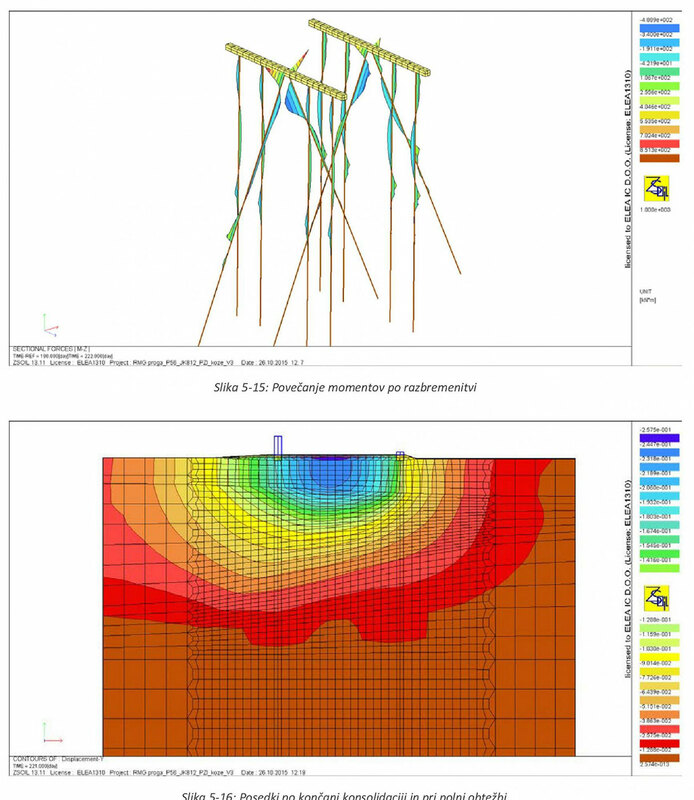 value€3,500,000.00Year(s)2014–2015 project, 2016–2017 executionServicesStructural design: preliminary design, test field design, building permit design, execution design, as-built design, project for exploitation and maintenance, monitoringInvestorLuka Koper, d.d.